Expats are more than satisfied with life in Bahrain, Taiwan, and Ecuador, while India, Saudi Arabia, and Kuwait leave them disappointed. The top 10 destinations for expats in 2018 are Bahrain, Taiwan, Ecuador, Mexico, Singapore, Portugal, Costa Rica, Spain, Colombia, and Czechia. 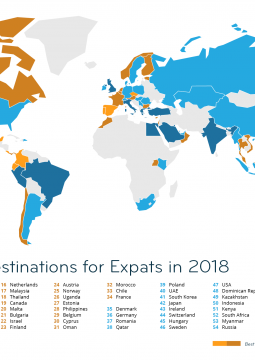 Panama, Israel, Australia, and Ecuador have improved the most in the eyes of expats since 2017, while Sweden, Romania, Hong Kong, and Switzerland lose popularity. The world’s worst destinations for expats in 2018 are the United Kingdom, Greece, Italy, Peru, Egypt, Turkey, Brazil, India, Saudi Arabia, and Kuwait. Munich, 6 September 2018 — For the second year in a row, Bahrain is the most popular destination for expats, followed by Taiwan and Ecuador. These countries attract expats with a great working life, ranking among the top 5 for career prospects and satisfaction, for example. India, Saudi Arabia, and Kuwait, on the other hand, are rated the world’s worst destinations for expats, mainly — but not only — due to a low quality of life and a poor working life. 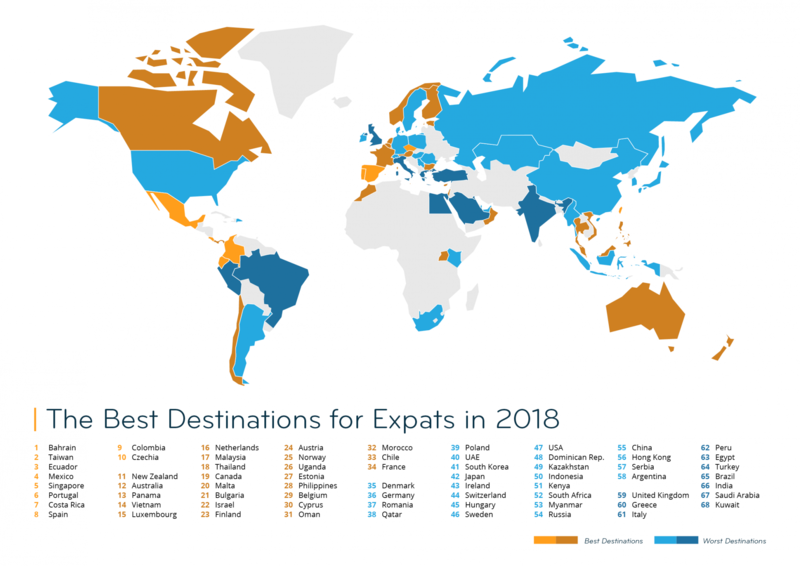 Looking at the biggest winners and losers, Panama, Israel, Australia, and Ecuador move up the ranks, while Sweden, Romania, Hong Kong, and Switzerland lose ground, as the Expat Insider 2018 survey reveals. With more than 18,000 respondents living and working abroad, it is one of the most extensive expat studies, conducted annually by InterNations, the largest expat community worldwide. Apart from offering an in-depth analysis of life abroad, the survey ranks 68 countries by a variety of factors such as quality of life, working abroad, and settling in. Eight of the ten countries featured at the top of the Expat Insider 2018 survey already ranked among the top 10 destinations last year. New Zealand only just dropped out of the top 10 (6th to 11th), while Malta ranks 20th this year (7th in 2017). They have been replaced by Czechia (11th to 10th) and Ecuador (25th to 3rd). Together with the latter, three other Latin American countries (Mexico, Costa Rica, and Colombia) rank in the top 10, as well as two Asian Tigers (Taiwan, Singapore). 2017’s surprise winner Bahrain defends its first place, thanks to excellent results for working abroad and ease of settling in (1st for both). Seven in ten expats in Bahrain (70%) are happy with their career prospects (vs. 55% globally), and 81 percent find it easy to settle down in the country (vs. 59% globally). “I do not feel like an expat in Bahrain,” says an Indian, “I feel at home”. Expats in runner-up Taiwan enjoy a good working life: the country ranks first in the world for job security (76% positive ratings vs. 59% globally). What is more, Taiwan offers the world’s highest quality of life, with close to every expat being satisfied with the affordability (96%) and quality of medical care (92%) as well as personal safety (98%). Aside from ranking in the top 10 countries for expats, Ecuador is also one of this year’s biggest winners, moving from 25th place in 2017 to 3rd this year. It particularly improved in terms of working abroad (51st to 11th): while in 2017, less than half the expats (46%) were satisfied with their career prospects, 69 percent are happy with this factor this year. Coming in fourth overall, Mexico is rated the world’s most welcoming country for expats: nine in ten expats (90%) find the Mexicans’ attitude toward foreign residents friendly, which is 24 percentage points more than the global average (66%). “I really feel welcome in this culture,” says a US American. Maybe that is the reason why expats living in Mexico are the happiest in the world (92% happy vs. 76% globally). An excellent quality of life is what keeps Singapore (5th) in the top 10 for the second year in a row: expats are particularly happy with the availability of government services online (93% vs. 55% globally) and the access to high-speed internet at home (95% vs. 75% globally). What is more, close to every expat (98%) feels safe (vs. 82% globally), and 88 percent even feel extremely safe (vs. 48% globally). Portugal (6th) ranks high for quality of life (2nd) and ease of settling in (5th). In fact, 28 percent of expats moved to the country in search of a better quality of life (vs. 10% globally), and 83 percent find it easy to settle down (vs. 59% globally). More than one-third (34%) even find it very easy, compared to just 20 percent worldwide. Getting used to expat life in Costa Rica (7th) seems to be an easy task: 83 percent do not have any problems settling down (vs. 59% globally), and 81 percent feel at home in the country (vs. 64% globally). “The people are laid back and friendly,” an expat from the US shares. Ranking among the top 15 for quality of life, it is clear why such a large share of expats (38%) moved there for that reason. Similar to Costa Rica and Portugal, the most-cited reason for expats moving to Spain (8th) is the higher quality of life (31% vs. 10% globally). Close to every expat (96%) is happy with the Spanish weather (vs. 61% globally), and more than four in five (81%) are satisfied with the quality of the environment (vs. 69% globally). As all the other Latin American countries in the top 10, Colombia (9th) scores well for ease of settling: 79 percent find it easy to get used to the local culture (vs. 62% globally). Moreover, Colombia is the world’s best country for personal finance. More than four in five (84%) are happy with their financial situation (vs. 67% globally), and about one-third (34%) could even not be any happier with this factor (vs. 19% globally). Lastly, Czechia (10th) ranks very well in terms of working abroad, with more than three-quarters (77%) satisfied with their job overall (vs. 65% globally). An expat from Portugal particularly likes the “job opportunities and the economic stability”. Over four-fifths of expats (84%) rate the state of the economy positively, compared to 64 percent globally. Panama’s recovery (36th to 13th) is partly due to a better working life, however, the country gained the most ground for personal finance: close to four in five expats (78%) rate their financial situation positively, which is 15 percentage points more than in 2017 (63%). Australia (12th) has also come back from its slump in 2017 (34th). The land down under improved most for personal finance (62nd to 40th) and working abroad (32nd to 13th). Seven in ten expats (70%) are happy with their work-life balance in 2018 (vs. 63% in 2017). “It is possible to have a good work-life balance,” an expat from Brazil says about life in Australia. Additionally, the new Digital Life subcategory helped Australia up the ranks, as 83 percent of expats are happy with the availability of government services online (vs. 55% globally), and close to everyone (95%) finds it easy to pay without cash (vs. 78% globally). Ranking in the top 10 again, Ecuador has recovered 22 places since last year (25th to 3rd). Lastly, Israel (22nd) reaches a new personal best, moving up 22 ranks from a 44th place in 2017. It has mostly improved in terms of working abroad (43rd to 22nd) and quality of life (31st to 10th). Nearly every respondent (95%) is, for example, happy with the unrestricted access to online services such as social media (vs. 80% globally), and 84 percent even give it the best possible rating (vs. 58% globally). With Sweden (22nd to 46th), Romania (19th to 37th), and Switzerland (27th to 44th), three European countries rank among the biggest losers in the Expat Insider 2018 survey, together with Hong Kong (39th to 56th). Each country has lost ground across all indices, however, they particularly worsened in terms of working abroad. Sweden has not only dropped 14 ranks in terms of work life (10th to 24th), but also for the quality of life (14th to 28th) and the ease of settling in (49th to 63rd). Expats are less satisfied with their work-life balance (8th to 29th) as well as career prospects (37th to 57th): while in 2017, 56 percent were satisfied with the latter, just 46 percent still agree in 2018. Ranking in the bottom 10 for ease of settling in now, 45 percent do not feel at home in the local culture (vs. 31% in 2017). “I have never struggled to make friends before, but it just feels impossible here,” a Belgian expat in Sweden reports. Romania has even lost 35 places for working abroad within one year (18th to 53rd): while three-quarters of expats (75%) were happy with their work-life balance in 2017, just 56 percent still say the same this year. More than one in five (23%) are generally unhappy with their job, which is ten percentage points more than in 2017 (13%). Working life in Switzerland has mostly been on a downward trend since 2014 (4th), dropping another seven ranks since 2017 (13th to 20th). The country has lost ground across nearly all factors — despite the fact that the economy is still rated the second-best in the world (93%), only beaten by Luxembourg (95%). 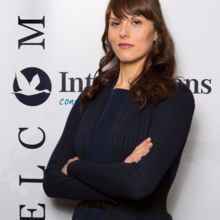 “They are workaholics, and everything evolves around their job,” a Romanian expat in Switzerland says. Additionally, the country lost seven ranks in terms of family life (27th to 34th), with 16 percent of expat parents regarding the attitude towards families with children as unfriendly, which is more than twice the global average (7%). Lastly, Hong Kong, too, has lost 14 ranks for working abroad (33rd to 47th). Expats in the country continue to work above-average hours in full-time positions (46.8 h vs. 44.0 h globally) and to be unhappy with their work-life balance (33% vs. 20% globally). In addition to that, Hong Kong drops nine places for family life (35th to 44th), now being rated the world’s worst country for both availability and costs of childcare and education. Seven out of the bottom 10 countries in the Expat Insider 2018 survey were already among the worst countries for expats last year. Of 2017’s bottom 10, Qatar moved up 20 ranks (58th to 38th), while Ukraine and Nigeria do not have enough respondents to feature in this year’s survey. In exchange, Egypt (63rd), Peru (62nd), and the United Kingdom (59th) enter the bottom 10 — for the two latter, it is the first time in the bottom 10 ever. The UK continues its downward trend, spiraling down from a 21st position in 2014 to now rank among the ten worst countries for expats in the world. Expats’ satisfaction has dropped in every index, particularly in terms of working abroad (29th to 44th). “Leaving the EU seriously damages my job prospects,” an expat from the US fears. In fact, after having always ranked among the top 5 countries for career prospects since 2014, it only comes in 24th in 2018. Peru, which has fallen from a 47th place in 2017, also ranks low for working abroad (58th) as well as the quality of life (64th). In addition to that, it does not seem to be the right place for families, either (46th out of 50 countries). The country even has the world’s worst quality of education, with 45 percent of expat parents rating this negatively (vs. 16% globally). Expats in Egypt are particularly unhappy with working abroad (61st) and the quality of life (63rd). For example, 69 percent rate the availability of government services online negatively (vs. 26% globally), and 59 percent do the same for the quality of the environment (vs. 19% globally). In Turkey (64th), expats are particularly unhappy with the country’s political stability (56% negative ratings vs. 17% globally) and the lack of unrestricted access to online services such as social media (45% negative ratings vs. 10% globally). Brazil (65th) is rated the most dangerous country according to expats, with 56 percent of respondents worrying about their personal safety (vs. 9% globally). What is more, 62 percent are unhappy with the state of the local economy (vs. 18% globally). India (66th) offers expats the lowest quality of the environment, with 82 percent of respondents unhappy with this factor (vs. 19% globally). More than two in five (41%) even give it the worst possible rating, which is more than ten times the global average (4%). In five years of Expat Insider, Greece (60th), Italy (61st), Saudi Arabia (67th), and Kuwait (68th) have never made it out of the bottom 10 destinations. Greece and Italy rank last and second to last, respectively, for both working abroad and personal finances. In fact, 39 percent of expats in Greece and 31 percent in Italy are unhappy with their financial situation (vs. 17% globally). Moreover, around half the expats in Greece (53%) and Italy (45%) are unhappy with their career prospects, which is far above the global average (25%). Kuwait and Saudi Arabia, on the other hand, rank particularly low for quality of life and ease of settling in, coming in last and second to last, respectively, in both indices. About half of the expats in Kuwait (47%) and Saudi Arabia (51%) find it hard to get used to the local culture, compared to 21 percent globally.